Build your custom AR-15 on a truly awesome platform: the Anderson AR-15 Stripped Lower Receiver. Every piece of hardware is designed to the highest level of precision accuracy and exacting standards. Anderson employees are experts in the shooting industry and bring years of experience to each and every product that bears the Anderson mark. 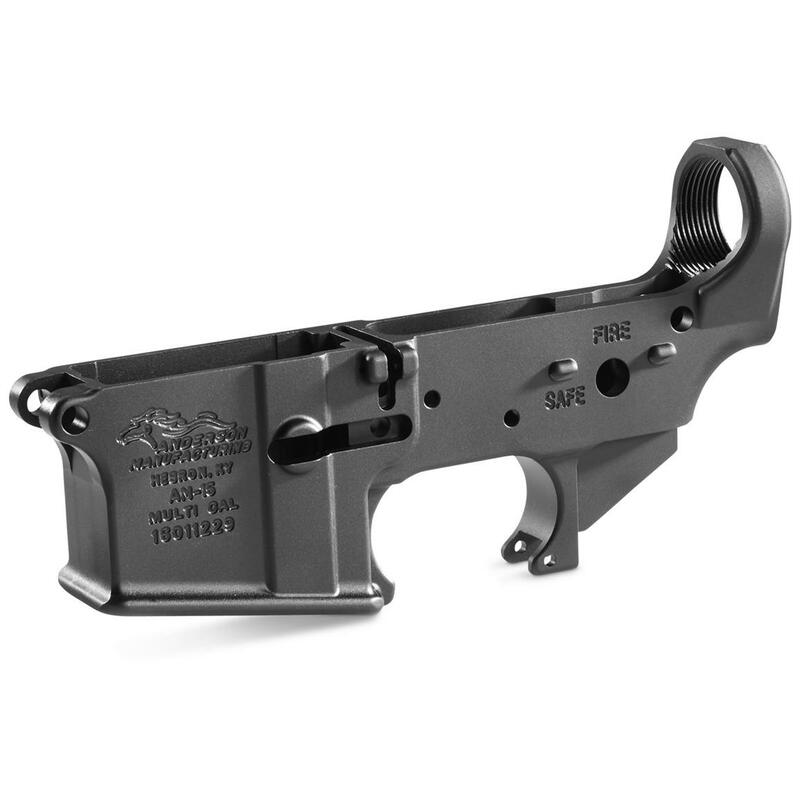 They understand as much as you do about the importance of precision and reliability, which is why this Stripped Lower Receiver is the right choice for your next custom rifle project. NOTE: This Receiver is marked as “AM-15 CAL .223/5.56mm”, but the lower will accept any standard AR magazine. Order now!